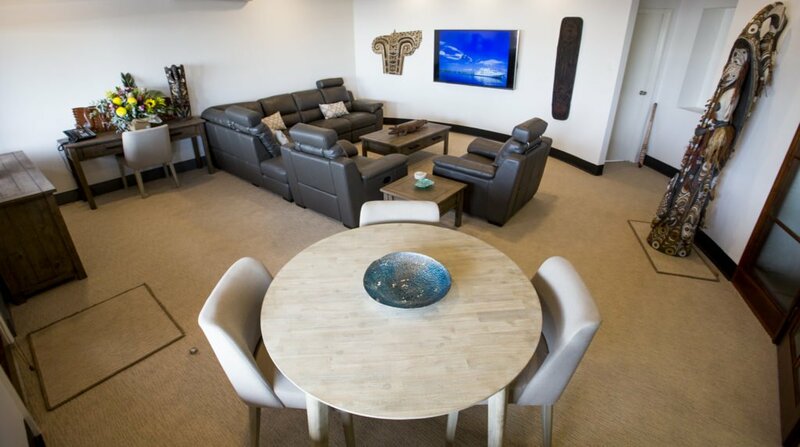 True North Adventure Cruises has opened a brand new guest lounge in Broome! Guests waiting to embark or having just disembarked from the adventure-cruise ship TRUE NORTH will now be able to avail themselves to the welcoming surrounds of The Artisan’s Lounge – a meeting place for craftsmen and craftswomen of adventure! The brand-new airline lounge type facility is located adjacent to company’s sales office in the heart of Chinatown and will provide a convenient staging point for guests who are waiting to transfer on-board or, for their onward flight. 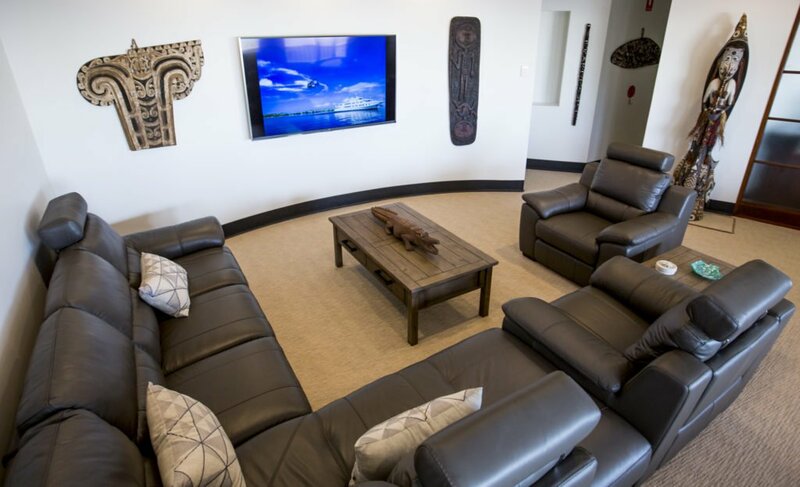 The lounge features the artwork of revered Aboriginal artist Donny Woolagoodja and the remarkable wood-carvers of the Sepik River and continues the company’s long association with art. And the new lounge comes just in time to celebrate the company’s 30th anniversary. On May 26 more than 400 guests will converge on Broome for a gala celebration at the town’s historic outdoor picture theatre, Sun Pictures. The event will showcase the TRUE NORTH’s stellar history with a feature screening of the company’s anniversary movie 30 Years of Adventure, a special guest appearance by local musicians The Pigram Brothers and, keeping in-touch with the town’s Japanese heritage – popular local Japanese restaurant Azuki will look after the catering. Media contacts: Email Peter Trembath at tremby@truenorth.com.au and/or phone (+61) 41 990 6670.